A few weeks ago, we posted the video testimony of a monk from Labrang, Jigme. We have just learned that he has been arrested. 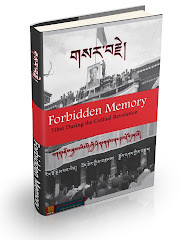 At around 1pm on November 4th, Jigme was arrested from his quarters in Labrang Monastery. Approximately 70 armed police came to arrest him and there were also army trucks and police cars that removed him from his quarters with their sirens blaring. 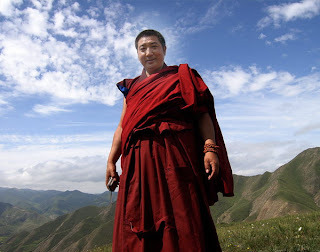 Jigme's video testimonies were broadcast by Voice of America on 3rd September 2008 and he had been in hiding since then before recently returning to his quarters in his monastery. View his video testimonies here. At present nobody knows his whereabouts or what will happen to him in the future. BEIJING Jigme Gyatso, a Tibetan monk who produced a video providing vivid personal details of the brutal Chinese crackdown in Tibetan monasteries this year, was arrested yesterday afternoon at his monastery by more than 70 members of the Chinese People’s Armed Police and Public Security Bureau. A friend of Mr Gyatso noti ed several Tibetan intellectuals around the world immediately after the arrest, about 1pm Beijing time, including Tsering Shakya, a professor of contemporary Tibetan studies at the University of British Columbia in Canada. The video was first broadcast on the Voice of America news website and YouTube on Sept 3, and quickly made its way around the world via the internet. Two days later the police launched a nationwide search for the monk, who had already gone into hiding. Yesterday, police lured Mr Gyatso back to the monastery by saying they would not arrest him if he returned. Prof Shakya said Mr Gyatso, 42, a monk at the Labrang Monastery in the small town of Xiahe, Gansu province, had eluded police for around two months before being arrested yesterday. There has been no news of his situation since his detention. Mr Gyatso was originally taken away from the Labrang Monastery by police on March 22, 12 days after the first protests against Chinese rule in Tibet broke out in Lhasa. “ He was beaten severely and held for a month,” said a Tibetan writer in China who knows Mr Gyatso personally and who spoke on condition of anonymity. He said Mr Gyatso was sent to a hospital about a month later, “on the verge of death”. Jigme Gyatso, a monk from Labrang Monastery, described the torture he underwent. After leaving the hospital, Mr Gyatso was allowed to return to his monastery, apparently because police found no evidence to support their belief he was one of the organisers of the protests. However, his civil liberties were withdrawn for one year, including his freedom of speech. Mr Gyatso then secretly made his way to Beijing, where the video was produced. The Tibetan writer, who was also informed of the arrest yesterday by an anonymous caller, said Mr Gyatso’s video had had a “huge impact” because it was seen all over the world, and because it was the rst public report of the crackdown by a well-known individual. The writer said Mr Gyatso did not try to hide his identity – despite knowing the risk involved – because he felt the truth had to be exposed. After the video was broadcast, Mr Gyatso went into hiding, telling friends he would remain out of touch, unless he was arrested. There had been no further word of him until yesterday. “He couldn’t go back to his monastery because his room was under police surveillance,” said the Tibetan writer, adding that Mr Gyatso could not return to his own home because that was also being monitored by police. The writer said Mr Gyatso had not been involved in the protests this year because he had already been detained by the police several times, including once for 40 days after returning from a Buddhist ceremony in India in 2006. 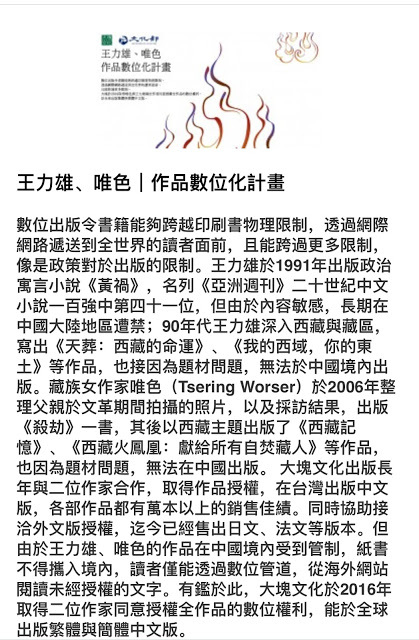 Since the rst protests, in March, the Chinese government has made a strong effort to control news coming out of Tibetan areas that contradict the of cial version of events. For the most part, foreign reporters have not been allowed to visit Tibetan areas since then, and those few who have been allowed in have had their movements restricted. A Tibetan monk who is one of a very few to speak openly of his mistreatment by Chinese police after demonstrations against Beijing in March was arrested today when he emerged from two months in hiding. More than 70 police, including members of the paramilitary People’s Armed Police, raided the dormitory of the Labrang monastery in western China that was Jigme’s home, sources told The Times. Police vehicles, their sirens wailing, drew up outside the monastery just after midday. Armed officers poured out and entered Jigme’s cell near the front of the ancient edifice that sprawls up a hillside in Gansu province. Jigme, who only uses one name, had been in hiding, moving from safe house to safe house on the vast Tibetan plateau, ever since he made a video in late August - later posted on Youtube - in which he described two months of interrogation and abuse by police. Friends told The Times that he decided to return to his monastery after police, who had visited his family, said he would be safe from arrest if he returned to his monastery. With the onset of winter, he decided to believe the authorities. He is one of the few Tibetans to speak openly of his experiences at the hands of the security forces since 22 people were killed in violent anti-Chinese demonstrations in the Tibetan capital, Lhasa, in early March. The demonstration quickly spread to other Tibetan regions of China. In his video, in which he shows his face, Jigme described how he had been dragged off the street while waiting for his shoes to be mended by four uniformed guards who pulled him into a white van. He was driven to a guest-house run by local paramilitary police and held even though he insists he took no part in the anti-Chinese unrest that swept Tibetan regions of China in March. He was taken to a prison in a town near the monastery. He told the Associated Press: “They demanded to know if I was a leader of the protest and what contact I had with the Dalai Lama. They hung me up by my hands and beat my hard all over with their fists.” He said similar treatment was meted out to other Tibetan prisoners, and family members were refused permission to bring them additional food and warm clothing. He was twice taken to hospital. The second time, after lying unconscious for six days, he was handed over to his family who took him to another hospital where he recovered after 20 days of treatment and a rest. He returned in May to the monastery where he his a member of the Gyuto Dratsang, or Upper Tantric College, one of its six institutes of learning. He told one interviewer: “I’m not afraid of being taken in. I have no regrets. I am not guilty of anything."